So successful was the campaign to “rescue” Africa’s most prosperous and thriving nation that the sequel is currently underway to “rescue” it once again. Back in 2011 a United Nations Security Council resolution (Res #1973) resulted in American and British naval forces firing over 110 Tomahawk cruise missiles, the French, British and Canadian Air Forces undertaking hundreds of bombing sorties across Libya and a naval blockade by Coalition forces along with airspace over the country being declared a ‘no-fly zone’ just as Cameron envisaged. 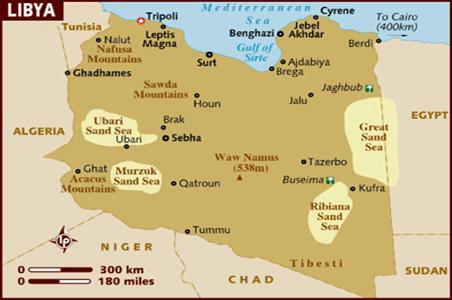 The USA, Britain and France have since been utterly discredited in their mission to “rescue” Libya with its so-called humanitarian aims and replace dictator Gaddafi. Libya is now completely immersed in anarchy, sectarian conflict, and violent extremism perpetrated not only by a brutal fractured militia and homicidal gang warfare but by the West’s new favourite number-one evil enemy – ISIS. Libya will now spend years, if not decades recovering from it’s new found status and position in the world as – failed state, just like Iraq, Afghanistan and Syria. Britain, France and Italy have denied the presence of any ‘boots on the ground’ in Libya. The establishment press is acting as the international government mouthpiece. The Guardian – The government has said it has no plans to deploy British troops to provide security for Libya’s newly-appointed national unity government. PressTV – Libya’s internationally recognized government has denied media reports that French special forces are engaged in covert military operations against Takfiri Daesh terrorists in the North African state. Reuters – “As long as I am prime minister, Italy will not go to Libya for an invasion,” Renzi told Canale 5 television. Just one week ago the British government made a full denial that British troops or that its air force were already deployed in Libya. After all, this is a matter for parliament to decide, that is what democracy is supposed to be about. But this British government has form. It denied any military presence in Syria before a parliamentary vote a few months ago and found both the Prime Minister and Defence Secretary had lied with special forces operations and bombing raids already undertaken months beforehand. In another denial, British Foreign Office minister Tobias Ellwood declined to comment on British special forces operations, but oddly admitted that the RAF was flying missions over the country in preparation for possible attacks on Isis. This was denied later. “No UK troops will be deployed to Libya and airstrikes will not be extended to the war-torn North African state”, the government spokesman told the Foreign Affairs Committee chair after being questioned. The spokesman then flatly denied airstrikes or that troop deployments were imminent. You can’t get more explicit that than! In the meantime – denials accepted; Britain has launched covert military operations in Libya against ISIS militants with the support of Jordan, Middle East Eye (MEE) revealed. MEE obtained a detailed account of a meeting Jordan’s King Abdullah held with US congressional leaders in January, when he revealed the previously unreported deployment of British and Jordanian special forces in Libya. It appears, according to the Jordanian King that Britain does indeed have ‘boots on the ground’ in Libya. The king said he had turned to the British for support due to the absence of a clear US plan, and added that the war against IS required “counter-insurgency warfare” and not “traditional open warfare”. More recently, the French Defence minister promised an inquiry into an information leak as French special forces are said to be operating in Libya amid consistent government denials. 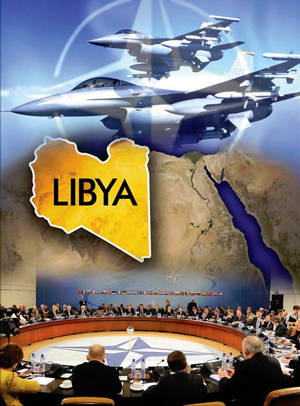 And as for Italy, as GlobalResearch points out: “Under the plan, up to 1,000 British troops would form part of a 6,000-strong joint force with Italy – Libya’s former colonial power – in training and advising Libyan forces. British special forces could also be engaged on the front line” with a view that Britain And Italy Is To Occupy Libya -again. So much for Italy’s PM emphatic statement that as long as he is prime minister, Italy will not go to Libya as an invasion force. “Our brave soldiers in the Arab Libyan Armed Forces are the ones who freed Benghazi from the hand of terror without any support from the international community,” he said. He was reacting to a report by France’s Le Monde newspaper that French special forces and members of the DGSE (French Intelligence and external security service) were in Libya for “clandestine operations” in cooperation with the US and Britain.